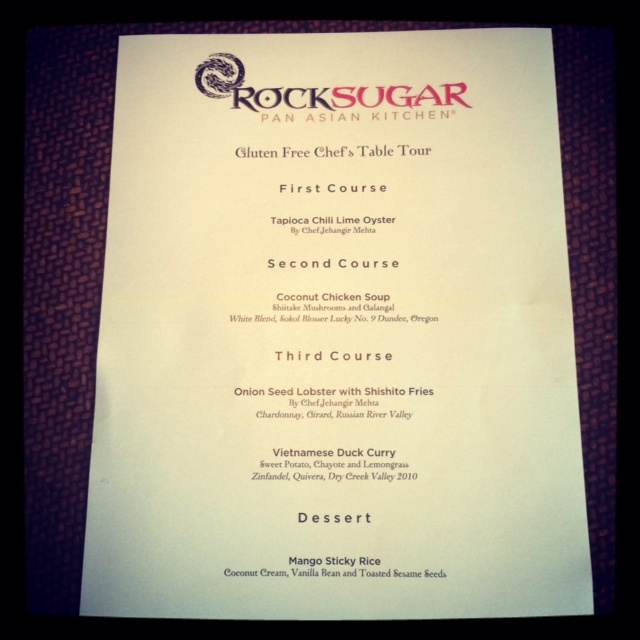 The fall leg of NFCA’s GREAT Kitchens Gluten-Free Chef’s Table tour wrapped up in Los Angeles this week with two restaurant events and one trip to Loyola Marymount University. 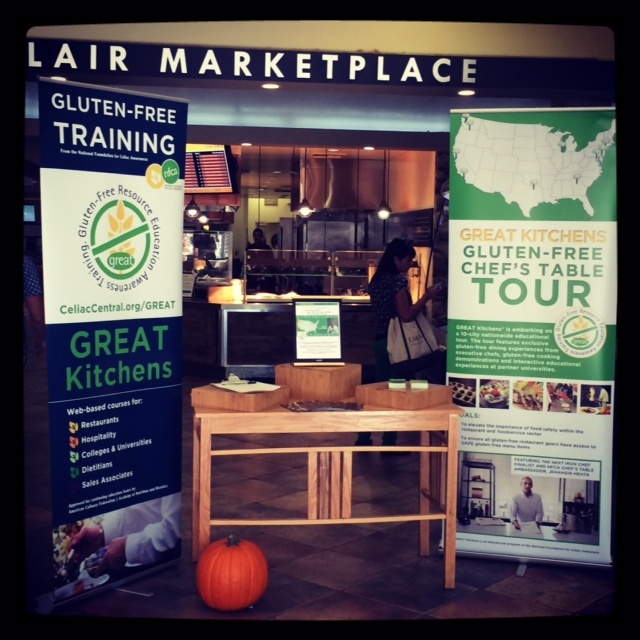 As with other stops, the focus of the this stop on the tour was to educate chefs and foodservice professionals on the importance of proper gluten-free training and protocols. For those with celiac disease, gluten-free food isn’t enough; it is a necessity for restaurants to avoid cross-contact so that those diners with celiac disease can eat safely. The trip to Southern California first brought NFCA President Alice Bast and Chef Ambassador Jehangir Mehta to Loyola Marymount University, a GREAT School that has implemented NFCA’s training in all of its foodservice establishments. The NFCA team visited The Lair, the largest dining hall on campus, to tour the dining hall and provide a dish for the Be Well station, which not only serves gluten-free options, but also healthy options as well. 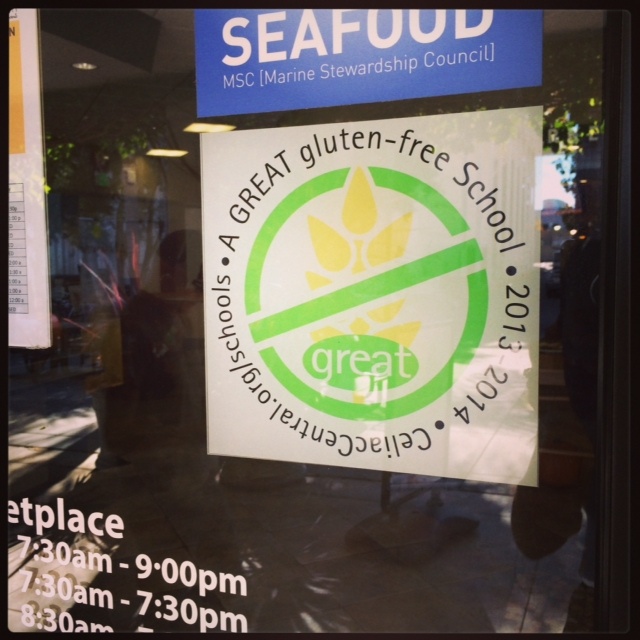 Jehangir Mehta served up a delicious gluten-free shrimp wrap for students with celiac disease or those students choosing to eat gluten-free. In addition, Alice Bast sat down with select students and administrators to talk about the tour and bring awareness to NFCA and GREAT Kitchens. The dining staff and team are taking great strides in being accommodating for all students and the GREAT training program has helped them to implement safe, gluten-free cooking protocols in dining halls and convenience stores across campus. After lunch with LMU students, the NFCA team headed to RockSugar Pan Asian Kitchen for a dinner event with Los Angeles media/bloggers. 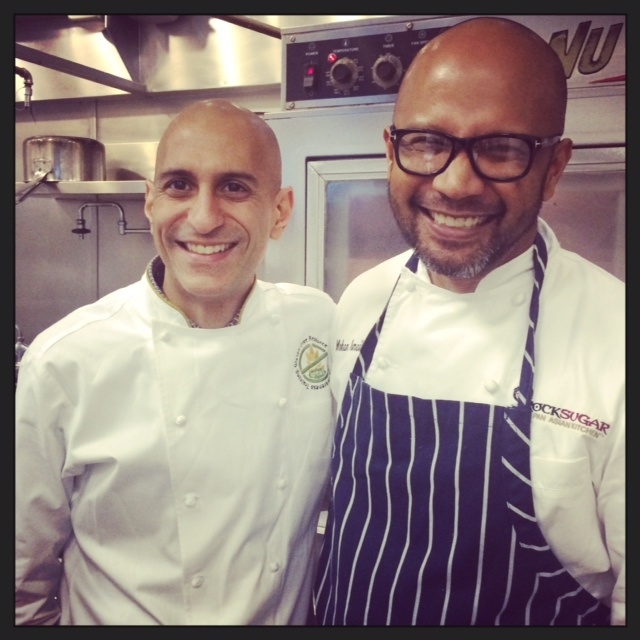 Executive Chef Mohan Ismail worked with NFCA Chef Ambassador Jehangir Mehta to create a delicious, gluten-free meal. 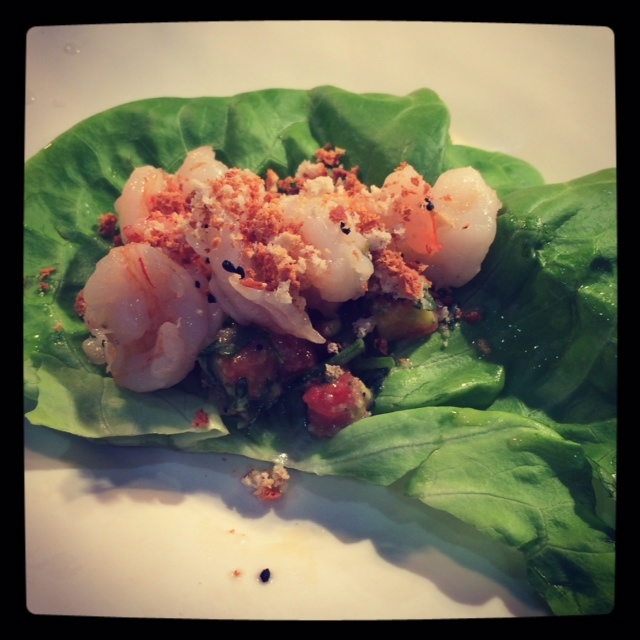 The meal started with Chef Mohan’s lobster and papaya amuse, followed by a tapioca chili lime oyster dish by Chef Mehta. The next course was a coconut chicken soup, followed by two family-style main courses, onion seed lobster with shishito fries by Chef Mehta and a Vietnamese duck curry by Chef Mohan, as well as three side dishes. The meal was completed with a dessert course, a mango sticky rice. The evening served as a great platform to educate attendees about the GREAT Kitchens training program and the importance of restaurants getting behind serving gluten-free safely in their establishments. The fall leg of the tour was an extremely educational experience and allowed NFCA to get in front of media, bloggers, restaurateurs, chefs and foodservice professionals in five of the country’s largest cities. Stay tuned for more information about the spring leg once planning commences.